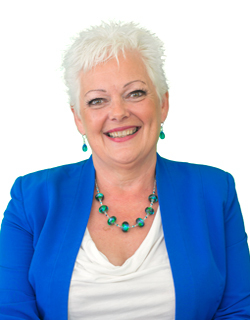 Dr Xandra Middleton BSc D.C.
Dr Xandra formerly worked for 4 years as Clinic Director of a London Chiropractic clinic and was part of a program to help other Chiropractors and Chiropractic students. She moved back to our clinic in 2012 and is a partner in the business. 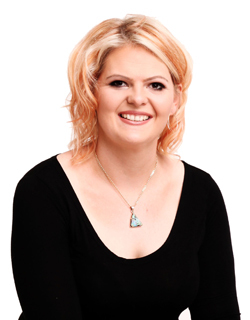 Having seen over 3,000 new patients Xandra is very experienced in treating a wide range of conditions. 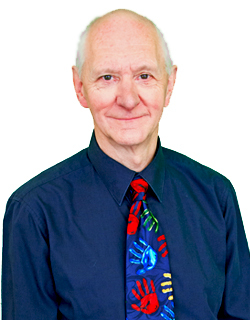 Dr David built & established the Poynton practice in 1994. After a successful career as a structural engineer David turned his love of structures to the human body and retrained as a Chiropractor. He has over 20 years of experience as a Chiropractor and has a passion for health and Chiropractic. The clinic resides in the basement of the house which was completed as a self-build by David and Sally in 1995. David is a keen cyclist who rides regularly at the velodrome and is currently building a replica Lotus kit car. Dr Lorenzo is our newest addition to the team. Originally from Italy Lorenzo has always had an interest in health as both hi parents work in the field. Â After completing a 2 year massage therapy qualification Lorenzo worked in his Fathers Physiotherapy practice gaining experience. 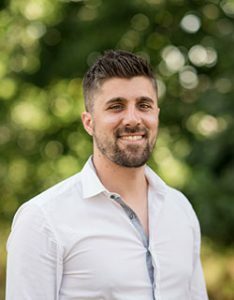 After developing a desire to learn more about the spine and be able to further his knowledge Lorenzo trained to become a Doctor of Chiropractic. Lorenzo brings his knowledge of muscular conditions his experience working in a healthcare family physiotherapy practice and personal enjoyment of fitness into his Chiropractic treatments. Sally creates a range of amazing glass jewellery which is available in the clinic. She is also an author, writing books about magic and mystery. Now available on Amazon Kindle. Jan joined our team in 2017. 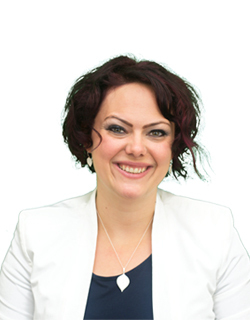 With experience working in reception and a personal love of Chiropractic treatment she is a fabulous addition to our clinic. 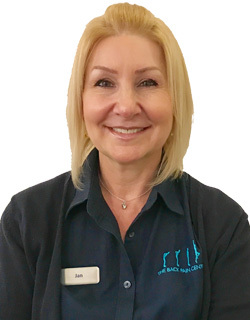 Jan is an extremely welcoming and happy member of the clinic we are so glad to have her. Alison joined us in 2018. 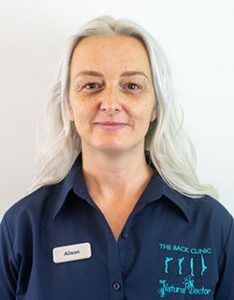 With previous experience working in reception at a vet surgery Alison is a very welcome addition to our clinic. Alison is an efficient, warm and caring part of our team and we are so glad she joined us.